Today I bring you a fulfilled request which I got on tumblr. I couldn't get it to look exactly like the picture I was given so it kind of turned into something new yet still similar to what was requested. The pillows and blanket pictured are from my Crissi's Hideout set which you get here and the blank shown is using a recolor by Crissi from CherryBlossom Sims which you can get here. The bed uses Maxis bedding. The frames are slaved together so you need "TheCubbyHole-Frame1_MASTERMesh.package" in game for the other (mirrored one) to show up. Same thing with the doors. 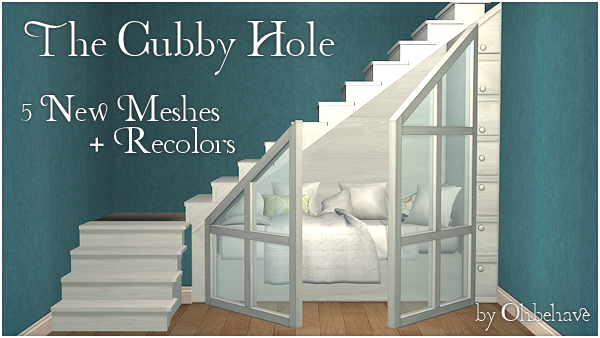 You need "TheCubbyHole-Door1_MASTERMesh.package" in game for the other to work. Everything should be BaseGame compatible. I included the UVMaps and Shadow PSDs for anyone who might want to recolor anything. As always I included a collection file for easy finding. Oh my gosh, I actually gaped when I saw these! They are amazing! What a great, great idea. How can I ever get tired of TS2 with folks like you giving me exciting new goodies like this?! Thank yoooou! Very, very cool! Thank you so much for creating and sharing these! Adorable! it's perfect for young adults who share the same house :) thank you! I'm glad you like it! 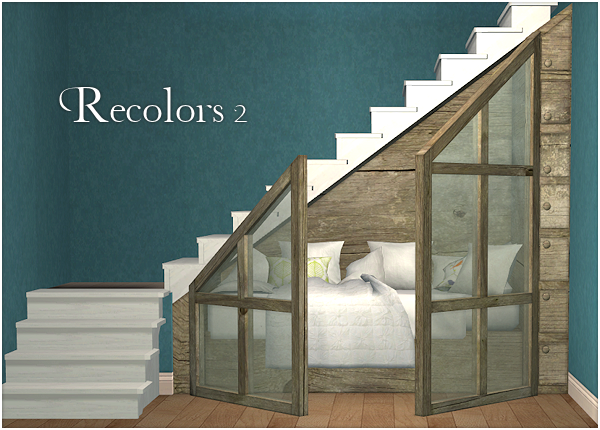 The stairs are a recolor by HugeLunatic (I think) of the plain wooden modular stairs. This is really cool! 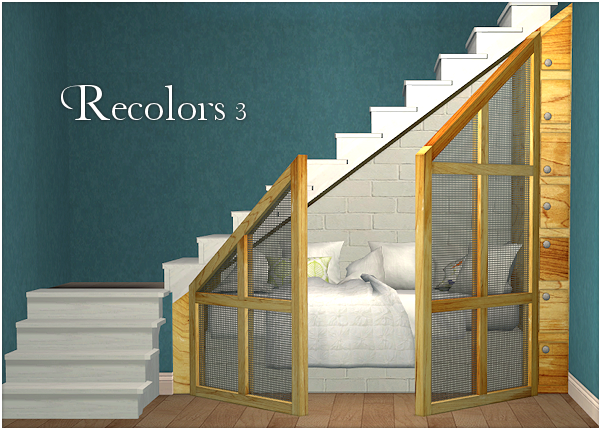 great for my sims with small houses : ) Thank you!! It is a little picture tutorial on how to place the cubby hole. narcissims at tumblr did one. Oh, I'll try to find it. 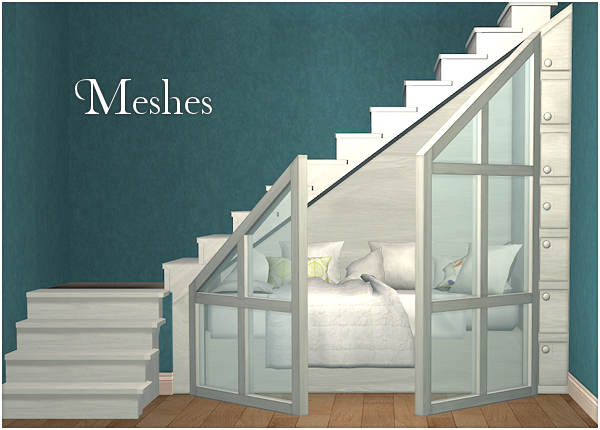 Which download I need in maxis modular stairs passage fix? download for all stairs or only for that three stairs? If you have any converted stairs from The Sims 2 Stories: Pets then you will need both downloads. 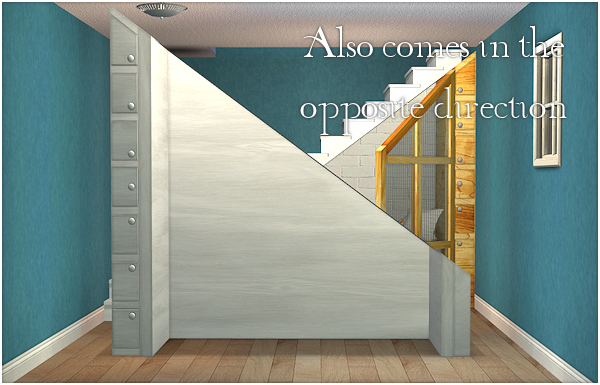 If you do not then LdDarcy_StairModularPassageFix_All.zip should be fine. 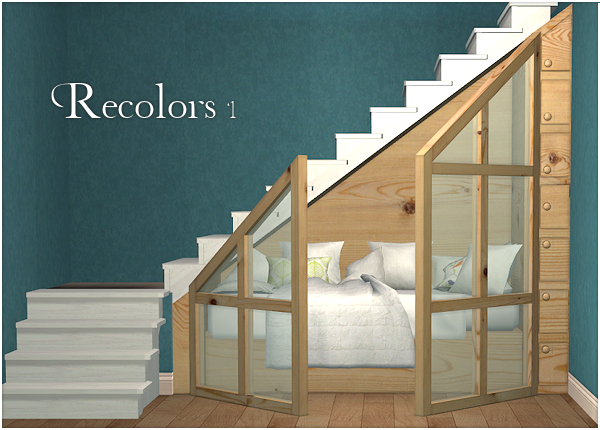 The stairs I used in the image are a recolor of the wooden stairs which came with the base game (I think). This is just fantastic! Thank you so much! Would you please consider doing for Sims 4 please. They are absolutely gorgeous and I tried to use them and it wouldn't start and figured they must have been prior to Sims 4. I haven't been creating for a while now and don't have any of the sims games on my computer. 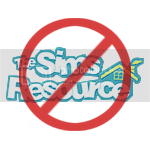 This download is for the Sims 2 so it will not work with your Sims 4 game. I give my permission and blessing to anyone who wants to convert it to Sims 4 and any other game. Sorry that I couldn't be more helpful. I have never clicked on something this fast before. I have never clicked something so fast in my life. I have to get a TS4 converterrrr. I'm so sorry for the late reply. Your comment was buried in with the spam. This is for Sims 2 but I am pretty sure it has been converted somewhere. I would look for it on Tumblr as I think I saw it there.